In the middle of March, one of the coolest opportunities just landed in my lap. 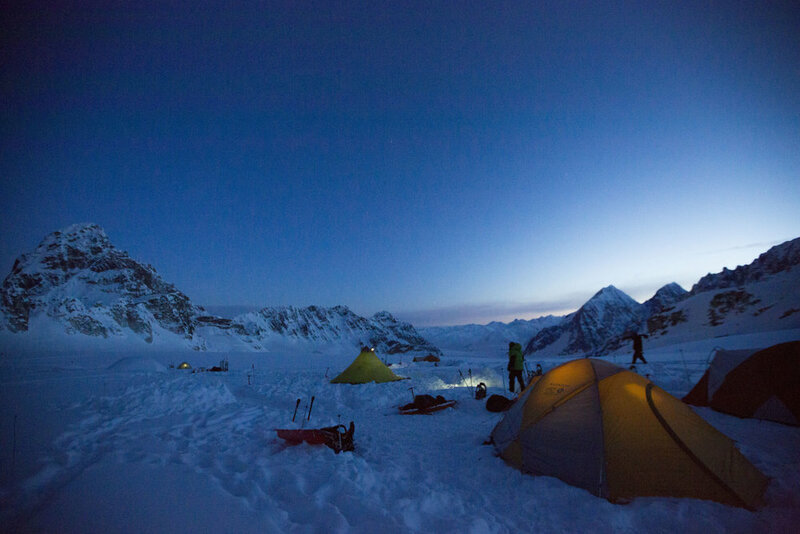 A group of female veterans who are attempting to climb Denali next year wanted me to photograph their week-long training trip to the Alaska Range in April of this year. Within thirty minutes of hearing about the opportunity, rates and dates were set and I was headed to the great white north to shoot six awesome ladies on a glacier. 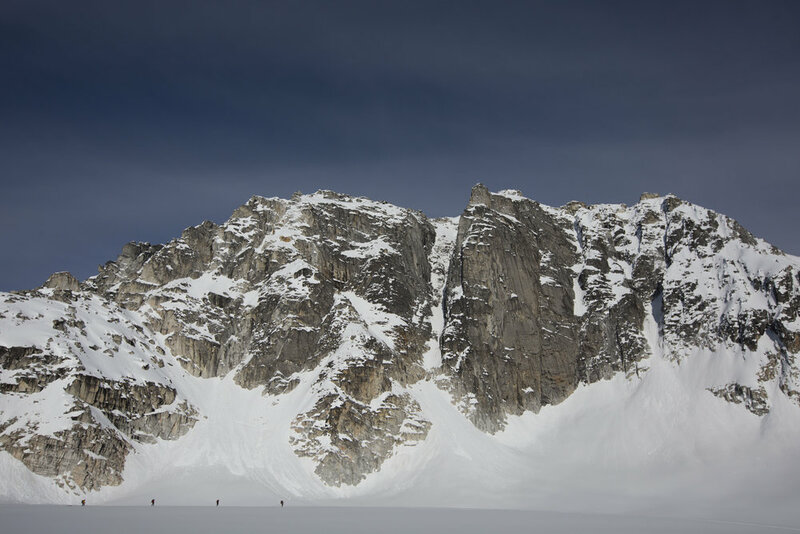 This would be my first time shooting an extended expedition in the remote Alaska range, in the cold, and totally by myself. I was psyched. 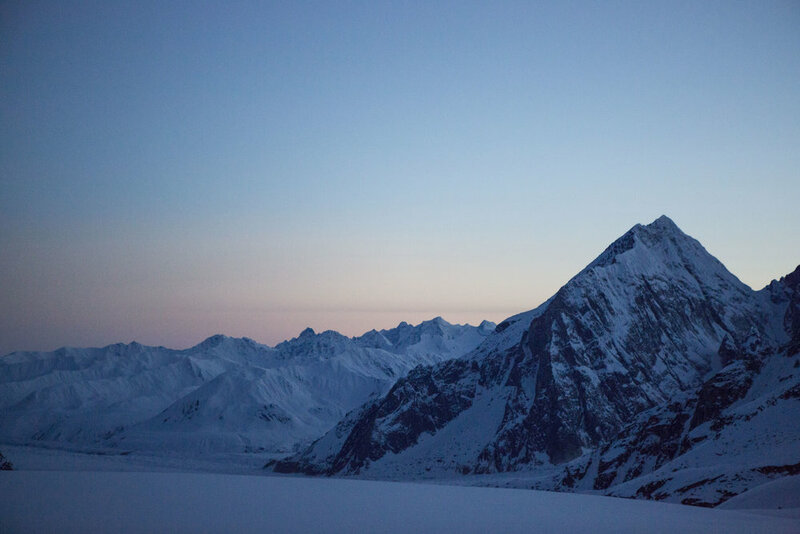 I quickly called upon a few friends who have done expedition photography for advice on how to keep batteries warm, what additional equipment would be necessary, and how to stay on top of managing the thousands of photos I was sure to produce. I received loads of advice and am very grateful to those who shared some tricks of the trade. A week after booking my flight, I was standing on the Susitna River in Talkeetna, AK, looking across at Denali as the sun set around 9:30pm. Six women stood before me, hugging and cheering as they pointed across at next year’s goal. I knew little about them and yet felt close friendships beginning to form. Their energy pulled you in, kept you laughing, and made you feel important. I knew it was going to be a good week. 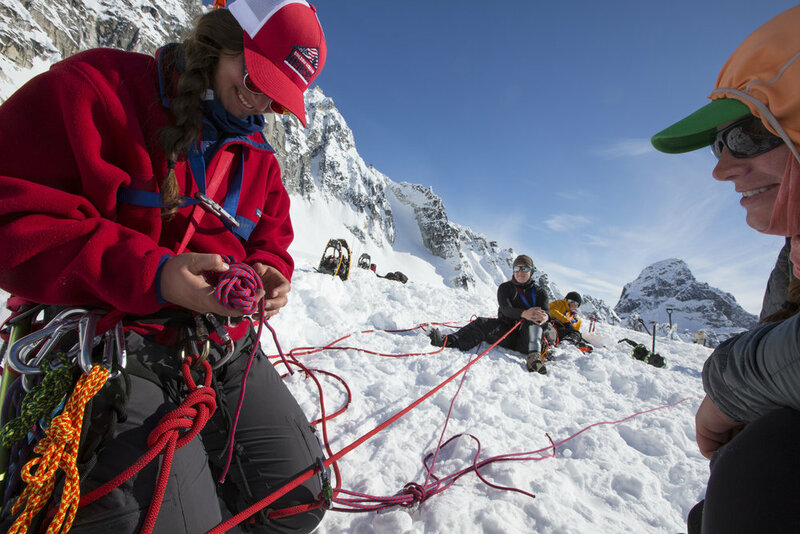 Service to Summit is a brand new program that creates an outdoor community for women veterans who are still looking to tackle big objectives after service. 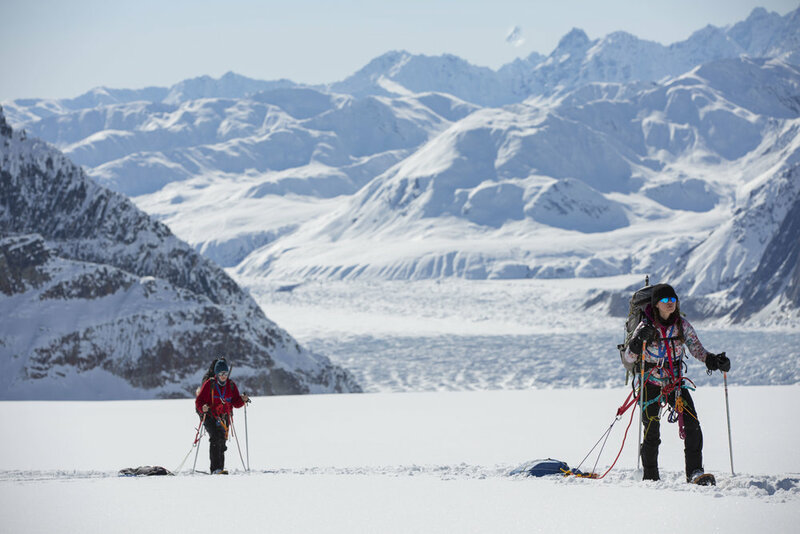 The pilot team is comprised of a diverse group of women representing the Army, Navy, Marines, and Air Force, with the ambitious objective of becoming the first all female veteran team to summit Denali. 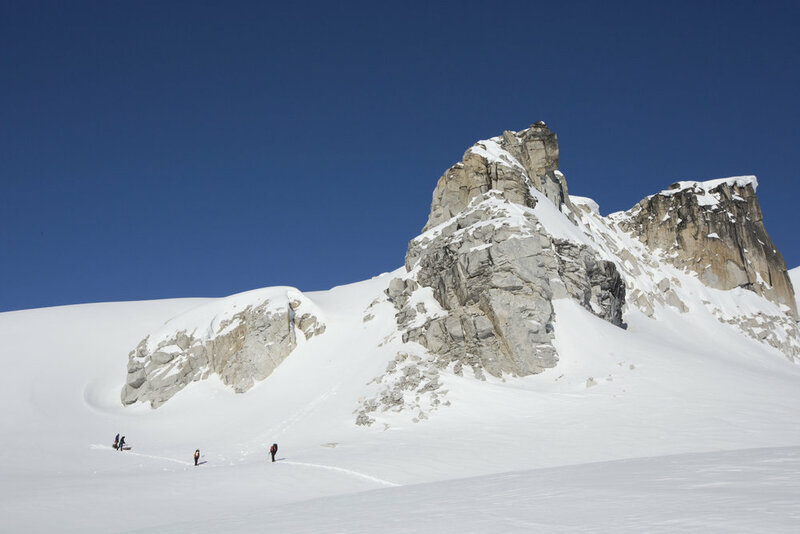 Their expedition is set for May 2018, but this spring they convened in the Alaska Range for a mountaineering course led by the Alaska Mountaineering School. 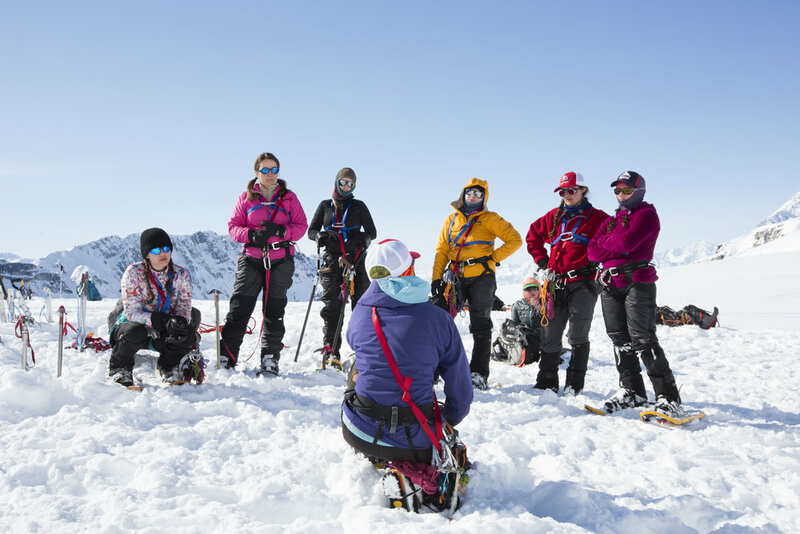 The plan was to fly to base camp on the Kahiltna glacier for a six day mountaineering course that would prepare these women with the necessary skills needed to summit Denali. 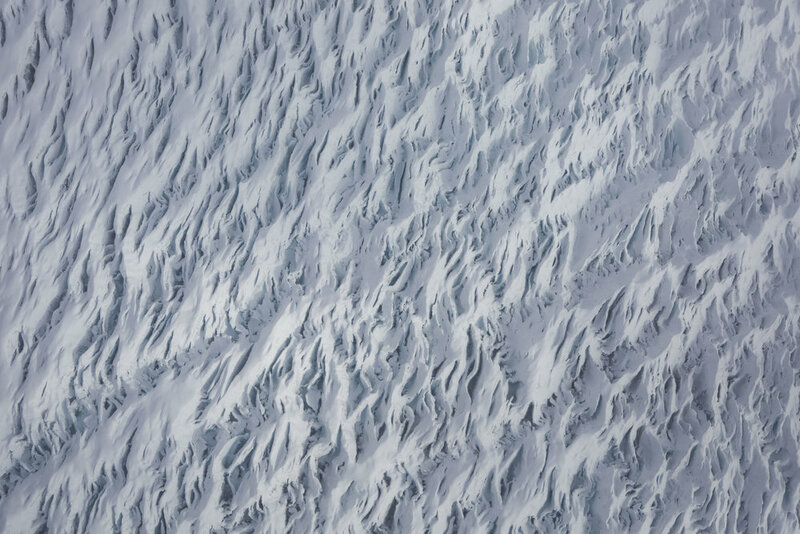 The weather didn’t cooperate, so we re-routed to Glacier One, a small glacier off the Ruth Gorge. The small planes of Talkeetna Air Taxi dropped us off and before we knew it we were alone in the mountains, over 60 miles from the nearest town. 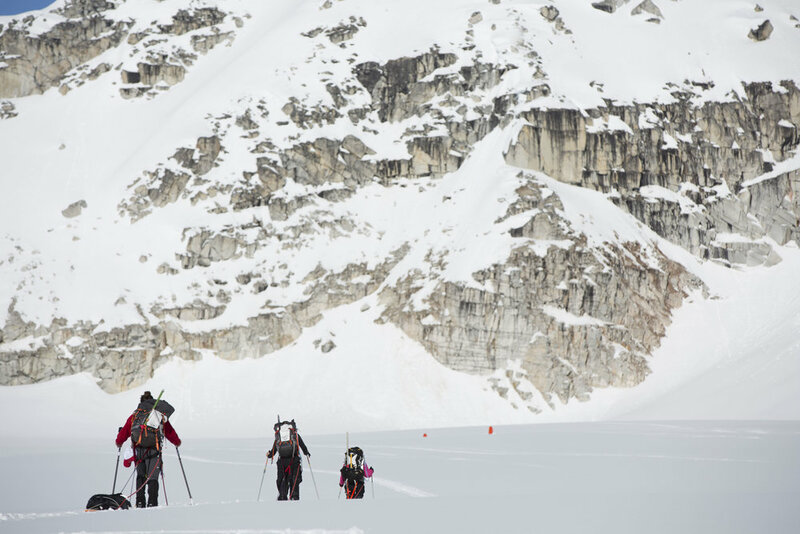 Over the next six days, while these women learned to set up a winter camp, travel safely across glaciers, and perform rescues when needed, I learned of their incredible stories of perseverance, determination, and strength. These gals were like superheroes with a secret identity. The stories they could tell would have you wide-eyed and speechless, and then the next minute their humor would have you keeled over with unstoppable fits of laughter. What I found most humbling was that, despite the hardships of their past, they led incredibly positive and motivated lives. I can’t relate to helicopter crashes, traumatic brain injuries, losing a leg, or being blown up, but I can relate to life changing tragedies and it was inspiring to see each of these women charging through life with a zeal for living, laughing, and loving. Without hesitation, the ladies welcomed me into their tribe and I began to feel much more like part of their team than like their professional photographer. 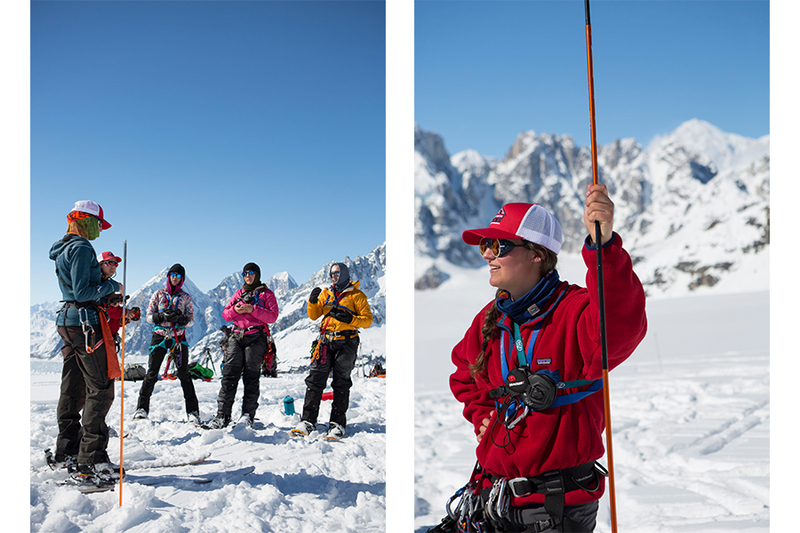 It was rad to spend a week photographing and hanging out with women in the middle of the Alaska Range. 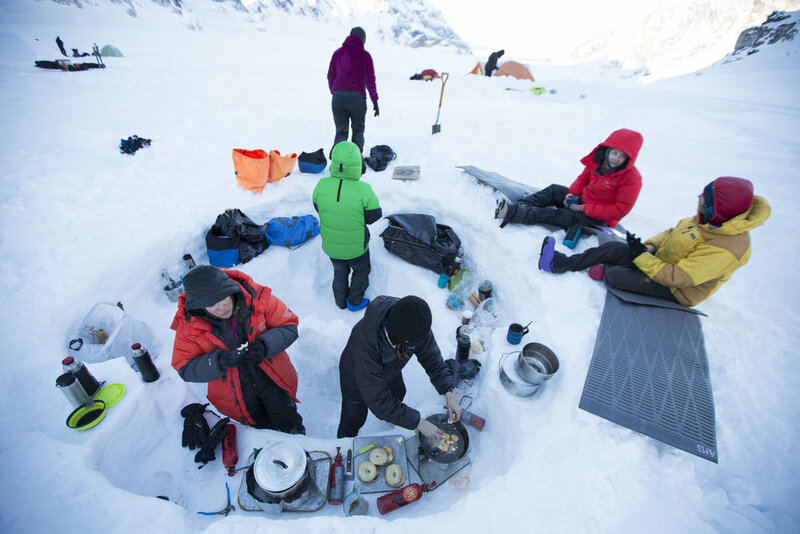 Not that I don’t love recreating in the outdoors with my male friends, but I forgot how fun and important it is to experience the outdoors with an all girl crew. On that note, I’m also grateful that this team prioritized hiring a woman to take photos. 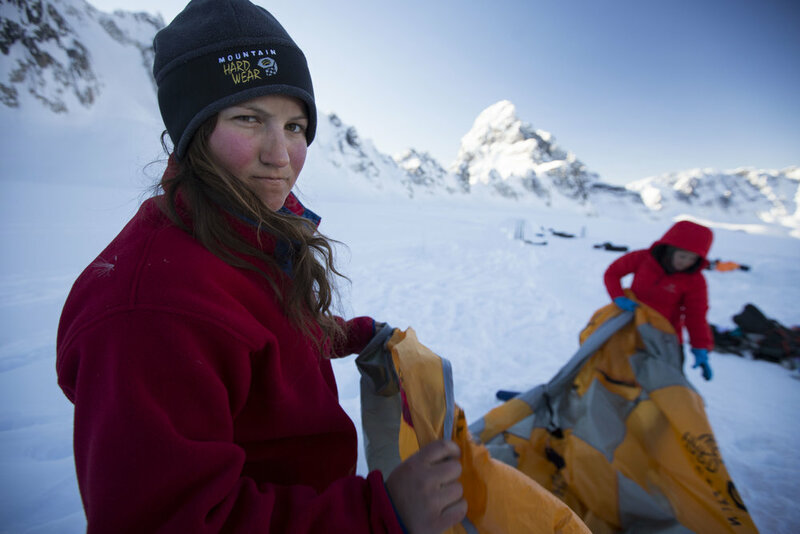 On these types of expeditions, it’s always men who get the job. 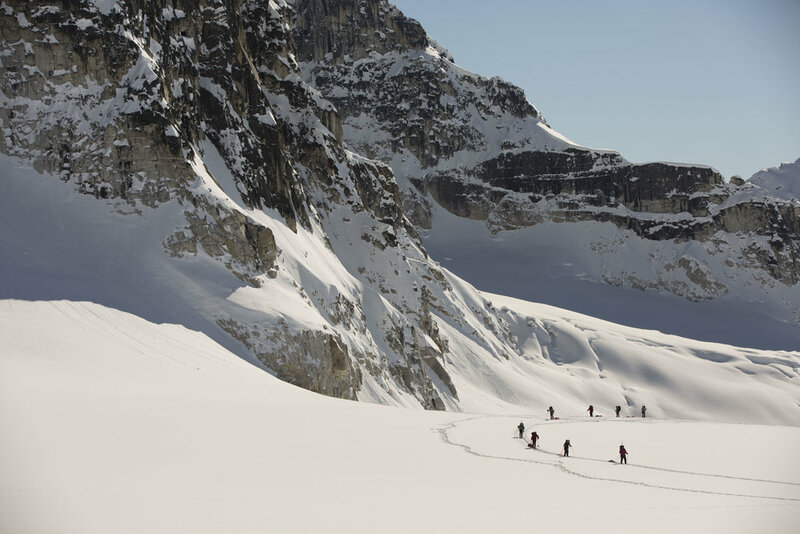 And that’s because I can literally count on one hand the number of female photographers/videographers with mountaineering experience that come to mind. But it’s not that they don’t exist, it’s that no one is giving them the chance to exist. So thank you, Service to Summit, for giving me a chance to exist.